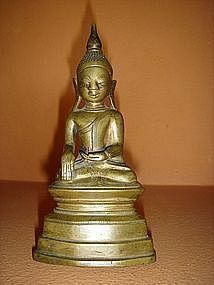 A very serene and friendly/smiling SHAN STATE SOLID WOODEN BUDDHA with traces of gilding. Very well preserved! 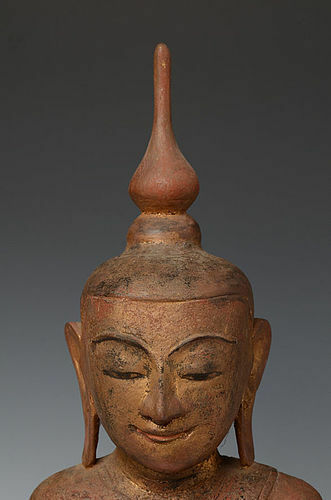 18th Century, Burma. Size: 55.3 cm. x 25.8 cm. 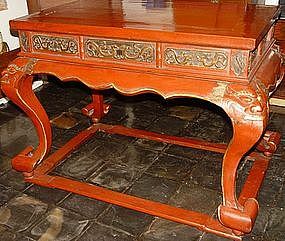 Good overall condition and a very fine piece bringing peace and happiness! 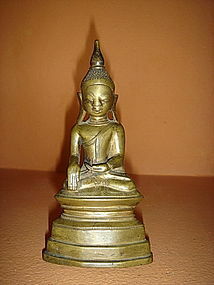 Very fine Bronze Buddha subduing Mara, Shan State, Burma, 18/19th Century, very nice brown-gold patina, on high-stepped throne, which tapers off toward the top and is a noteworthy characteristic of Shan artists, very good condition, size: H. 15.5cm x W. 7.5cm x D. 5cm, rare size/find. Serene Bronze Buddha subduing Mara, SHAN STATE Burma, 18/19th Century, very nice smooth patina, seated on a high-stepped throne, which tapers off towards the top and is a noteworthy characteristic of Shan artists, very good condition, no restorations, Size: H. 15.5 cm x W. 7.5 cm x D, 5 cm. 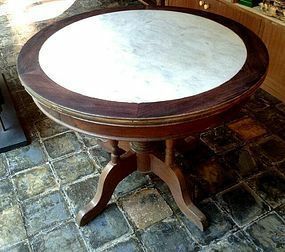 A Round Chinese Antique Wooden Table with original/genuine Marble Top. 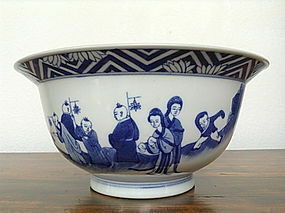 19th Century, shows some wear due to age. Good condition. Size: 37 cm. diameter, height 30 cm. Top can be removed from base. 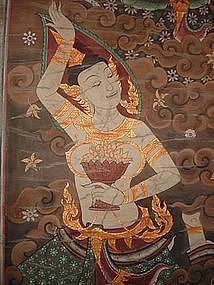 Beautiful Thai Scroll Painting depicting 2 Angels with Flower Offering Trays, some wear due to age, but good condition overall and very decorative with proper lighting. Size H. 76" x 33"
Unusual and very rare QING Dynasty Silver and Paktong Opium Pipe with beautifully detailed metalwork, which probably belonged to a Lady because of it's size. 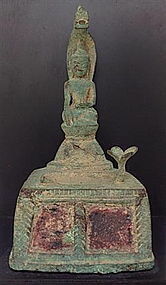 The damper is held by a hand and is decorated with a fine peony flower motif. Size: L. 6.5" (16.5 cm.). Excellent condition. 19th Century, China. A beautiful custom made wooden stand as shown in photograph # 1 comes with this opium pipe (included). 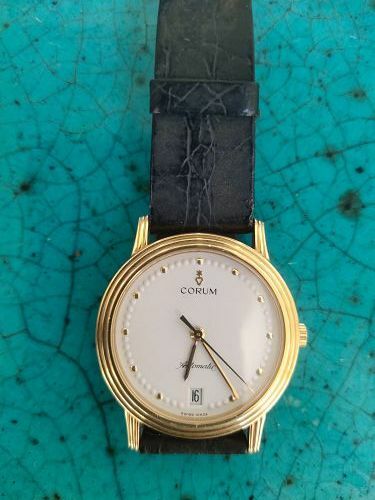 ORIGINAL CORUM 18K. YELLOW GOLD SWISS WATCH, Automatic Movement, White Dial with Gold Dot Markers. Date Window (at 6 o'clock), Water Resistant. Running Order. Case measures 36 mm. (excluding Crown). Original Black Leather Strap with 18K. Gold Buckle stamped 750. Great condition, comes with Original Warranty Card from 1999. 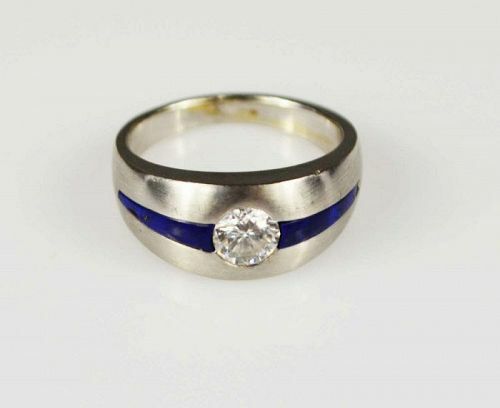 Previously owned, Ref. 82.120.56. Made in Switzerland, Rare CORUM Collector's Piece! This watch needs some revision work.